• There was an authority shift from the feckless leadership of Israel to the bold leadership of Gideon. • Much like the Shebna-Eliakim shift in Isaiah 22. • God is in the business of shifting authority - the question is: • Which person are you - the one He has to shift it from or shift it to? • Notice what Gideon did before authority shifted to him: • 1) He was faithful in his work (vs 11) - he was going a common task in an uncommon way. • 2) He was more concerned about his people than himself (vs 13) - he had a nations mindset. • 3) He refused to worship the false god everyone else worshipped (vs 15) - before he tore down the altar he refused to bow to it. • 4) He walked in obedience (vs 27) - this paved the way for God’s power to flow through him. • 5) He dealt with the stronghold of his day (vs 28) - he was willing to tear down the tradition of his people where his father was the ring leader. • 32,000 people rallied to Gideon after he did this - he didn’t try to come up with some strategic way to recruit them. 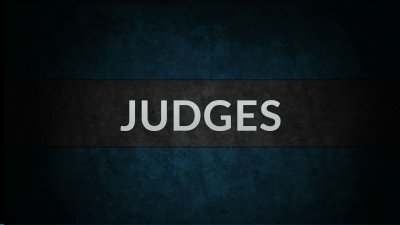 • Judges 7:14 - even the enemy knew he was the man with authority now.